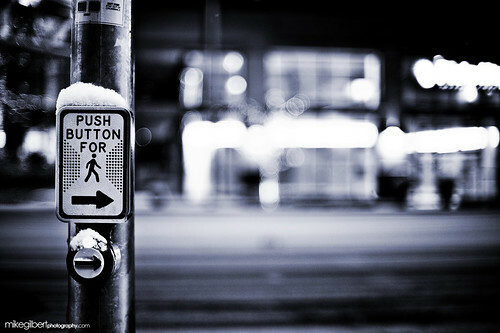 Push It, originally uploaded by Mike Gilbert Photography. Went out for a late-night walk around Bellevue. The day’s snowfall was the perfect backdrop to lighten things up. SW Shoot, originally uploaded by Mike Gilbert Photography. Snapped a few photos over the weekend at the DirtFish Ralley School grounds in Snoqualmie, WA. canibeat 2, originally uploaded by Mike Gilbert Photography. Finally posted my self feature over on Canibeat. Sad thing is I’ve had these photos edited since August. Sleepy Little Town, originally uploaded by Mike Gilbert Photography. 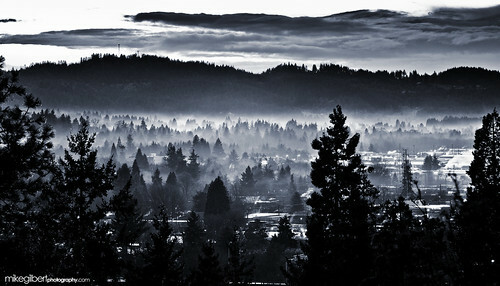 A lovely fog bank slowly rolled into town while I was down in Eugene. Drove to a small hill to capture the scene. Jswain1, originally uploaded by Mike Gilbert Photography. Had an impromptu photo session on fourth avenue during Christmas break.